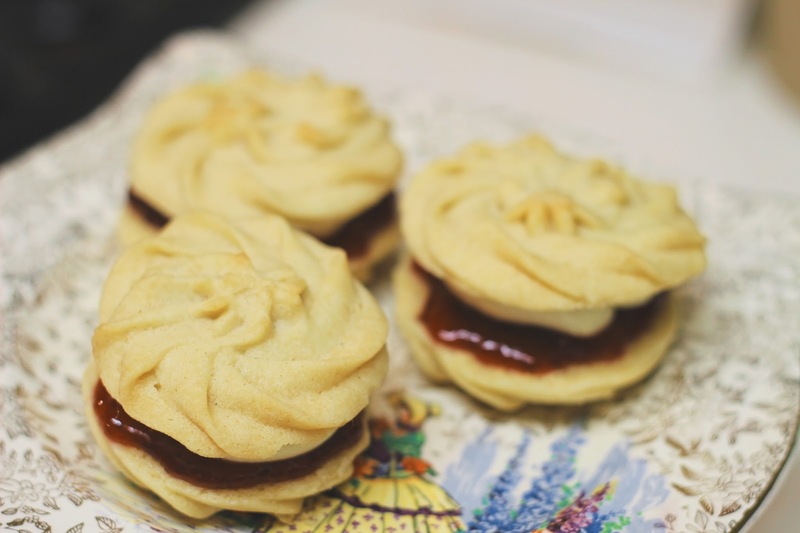 My second GBBO bake of the year is Viennese Whirls. I chose to make these because I’ve never made them before and I quite like a challenge. This time I didn’t have a family recipe to follow, so I am making them from a BBC Good Food recipe, you can find the original here. This is a few days late as I wasn’t at home last week to make them. 1. Preheat the oven to Gas Mark 4/180C/160C fan and line two baking trays with baking paper. 2. Put the butter and icing sugar into a large bowl and beat with an electric whisk for approx. 5 minutes until pale and fluffy. Add the vanilla extract and beat again until completely combined. 3. Sift in the flour, cornflour and baking powder. Fold into the mixture until combined, the dough should have a tacky consistency. Spoon the dough into a piping bag, fitted with a large star-shaped nozzle. If all the mixture doesn’t fit, do it in two batches. 4. Pipe swirly circles 5cm in diameter onto 2 baking sheets. Make sure there are 3cm spaces between each circle. 5. Bake for 10-12 minutes, swapping the two trays over halfway through the cooking time so the biscuits are evenly baked. When done they will be pale golden and cooked through. Leave to cool on the baking sheets for a few minutes and then transfer to a cooling rack. 6. While the biscuits are cooling, make the filling. Put the softened butter in a large mixing bowl and add the icing sugar. Stir together with a wooden spoon at first and then with an electric whisk to get the buttercream fluffy and smooth. Add the vanilla extract and beat once more to combine. Put the buttercream in a piping bag and snip off the end. 7. Put the biscuits flat side facing up. 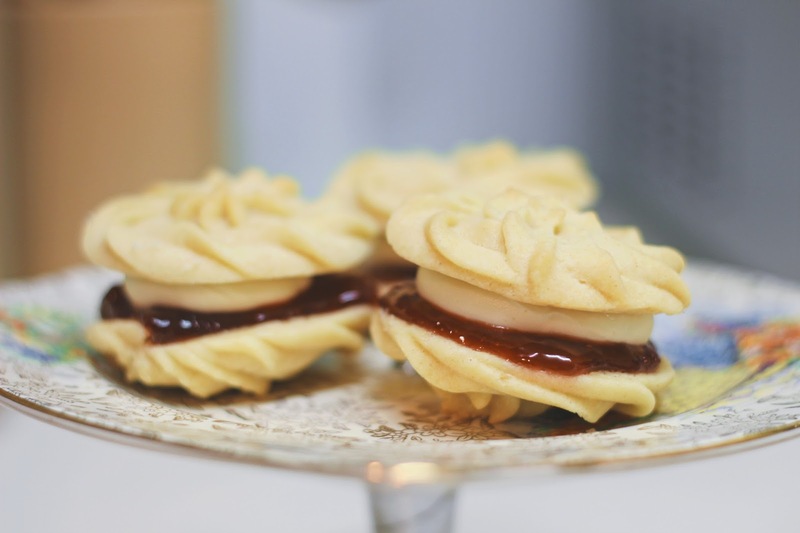 Pipe buttercream onto half of the biscuits and spread jam on the other half. 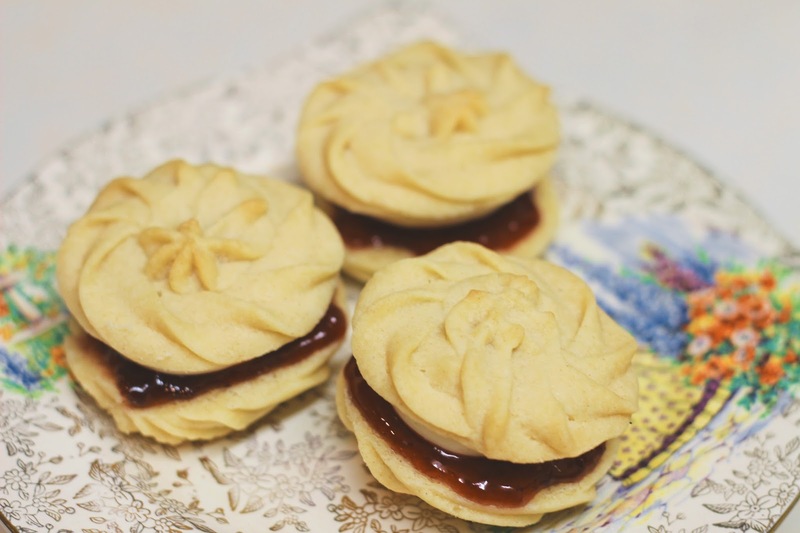 Sandwich the jam biscuits with the buttercream biscuits and there you have your Viennese Whirls! 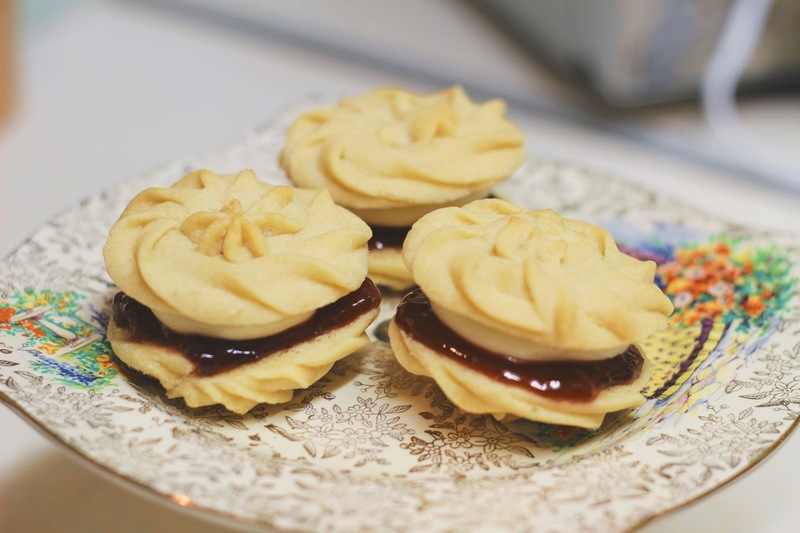 Have you ever made Viennese Whirls? Tweet me if you make these!